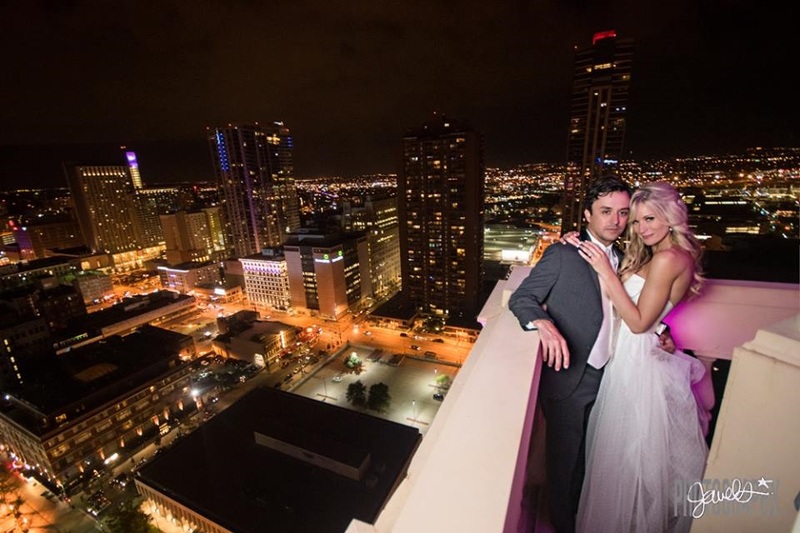 Have the Time of Your Life With a Wedding Behind the Magical Clock Faces! 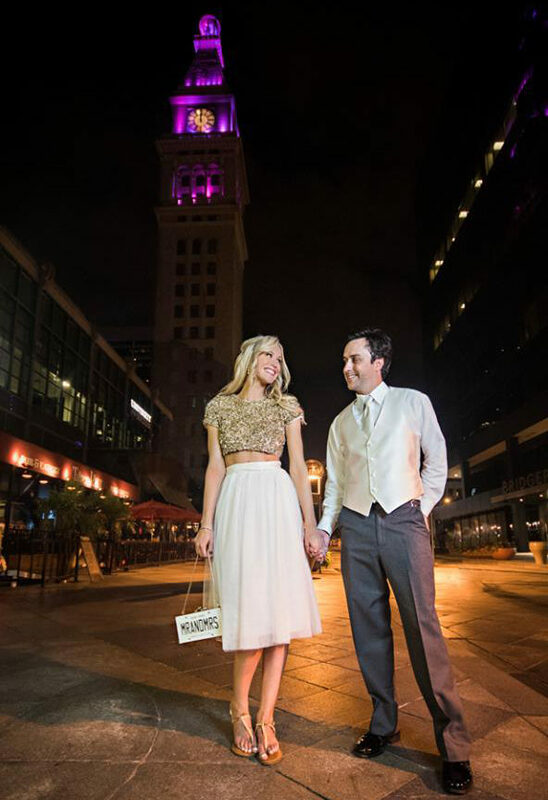 Often listed as one of the most romantic spots in Denver, you'll both have the starring role in your very own fairy tale in this truly magical space high atop the historic D&F Tower. 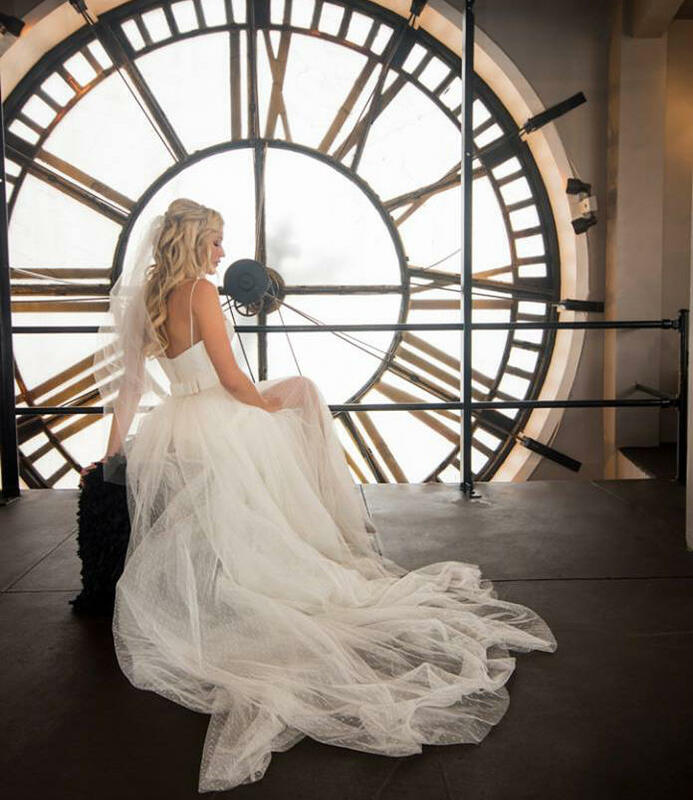 If you're looking for a truly unique and unusual space to celebrate your most special day, Clock Tower Events is the venue for you. The venue features five unique floors, two balconies with magnificent views and a very sophisticated atmosphere. Perfect for an intimate wedding ceremony or a unique, progressive-style reception or rehearsal dinner. 60 White Chivari Chairs with black cushions. Assorted tables including: 2 six foot and 2 eight foot banquet, 6 four foot round, 9 tall cabaret, and 4 four foot rectangle tables. Black tablecloths for all of our tables. Stationary bar on the 20th Floor. Assorted decorative chairs, couches and barstools throughout. Use of sound systems and music coordination. State-of-the-art monitor cpmpatible with Mac or PC ideal for slide shows, etc. Clock Tower Events House Manager. Cleaning before and after your event. The freedom to work with your own caterer and purchase your own alcohol! Private Bridal Suite Floor (subject to availability). A generous block of event time. With 7 hours for daytime and 9 hours for evening events, we make sure you have ample time to create and enjoy your magical day! For more information or to make a reservation, please call us at (303) 877-0742, or email us.